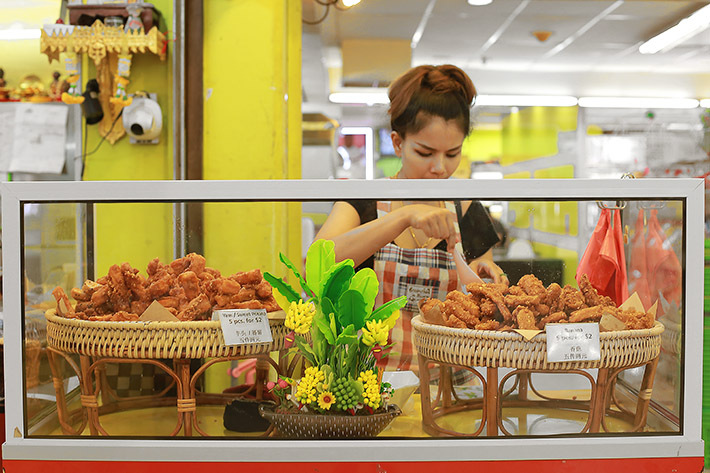 Golden Mile Complex Food Guide - Where And What To Eat At "Little Thailand"
You will be able to find a simple stall selling fried fritters located outside the Thai supermarket. Flavours include banana, yam and sweet potato and they are going for 5 pieces at S$2. The banana fritters have been deep fried into just the right crispiness. 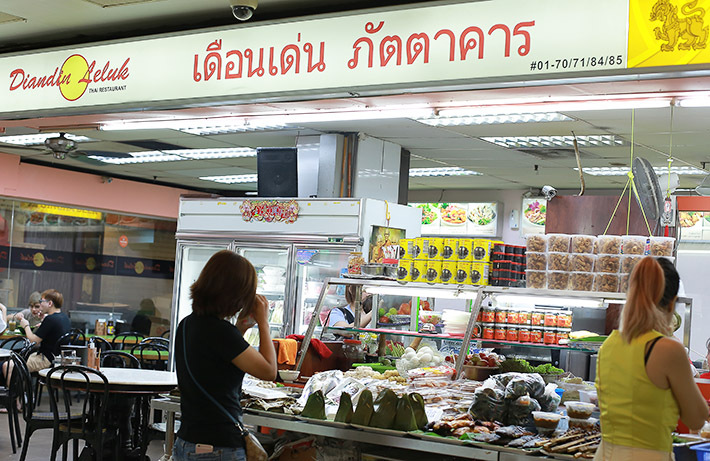 Baanthai Kitchen is essentially a food court with various stalls for you to choose from. Since the Thai Boat Noodle stall looked promising, we gave their Beef Noodles Soup (S$5) a try. The soup was flavourful and comes with good portions of mixed beef and silky kway tiao reua (boat noodles). 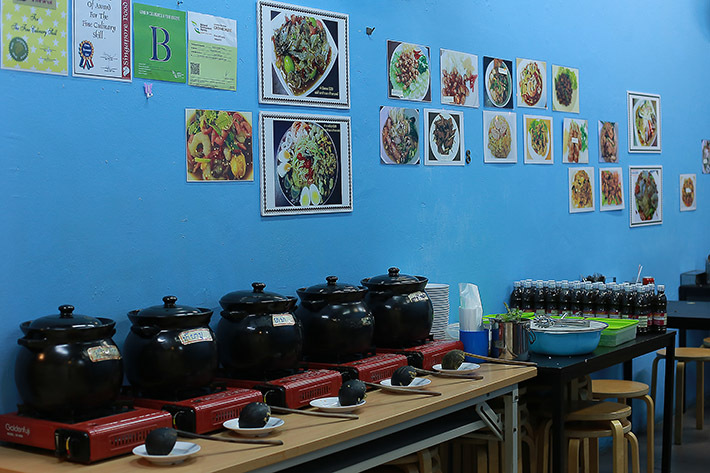 It is easy to miss this restaurant tucked at the back of Golden Mile Complex. We have heard that this place is popular and gets really crowded on the weekends so be sure to reach early to get yourself a table! 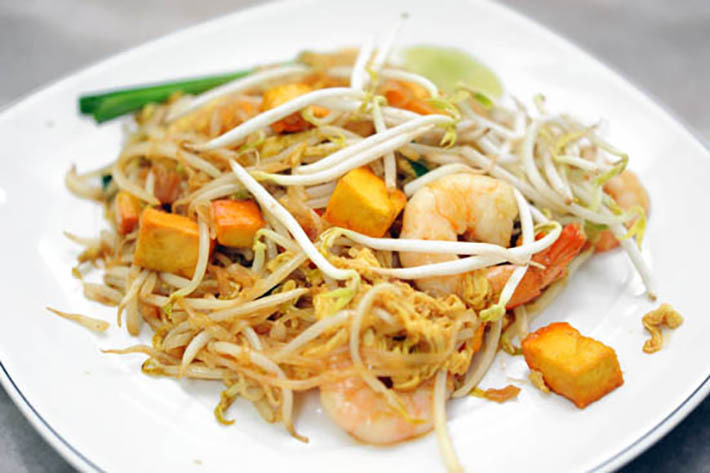 Signature dishes include Pad Thai, Green Curry and Tom Yam Soup. 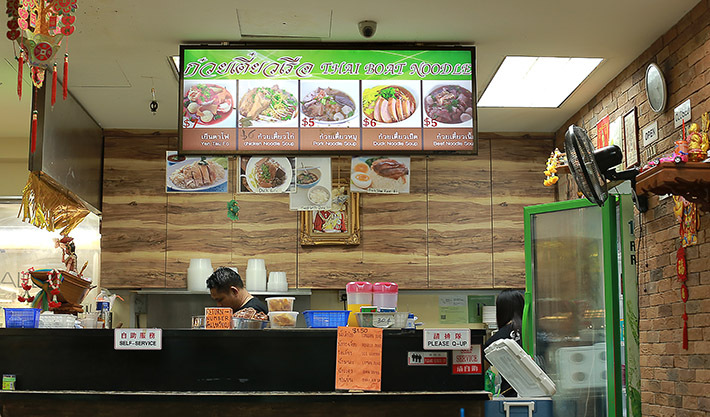 One of the more well known Thai restaurants in Golden Mile Complex, Diandin Leluk offers authentic Thai food such as BBQ Pork, Papaya Salad, Oven-Baked Pineapple Rice, Salted Crab and more. Lucky Thai Food is opened from 6pm till late, making it the choice destination for dinner and supper. You can expect wallet-friendly authentic Thai food when dining at this cosy eatery. The menu at Nana Thai is large. Besides the usual tom yum ($10), pineapple rice ($7), stir-fried glass noodle ($5), they also have Thai hotpot ($30), and a selection of grilled items done in Thai style. The moist and well-fried pad thai ($5) is something you must order there. 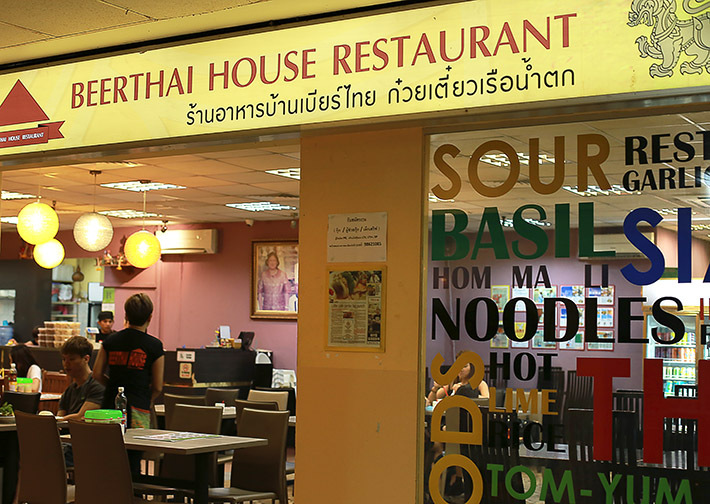 We are thrilled to find this hidden gem in Golden Mile Complex that offers Thai Laksa Buffet for an affordable price of S$10! 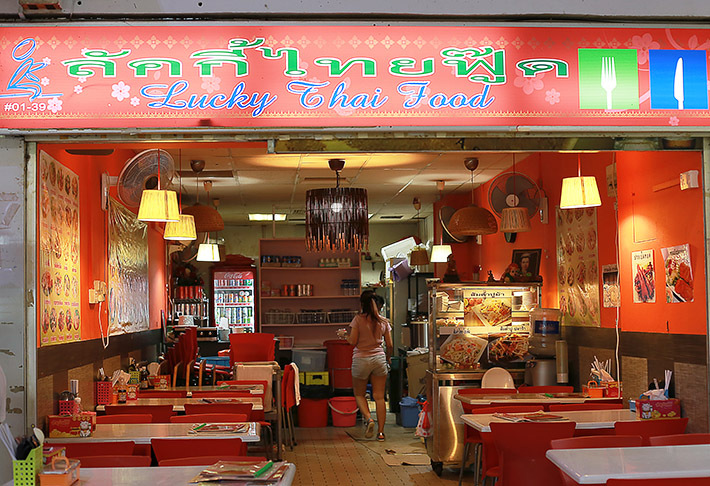 If that sounds too much for you, go for their a la carte Laksa (S$5) instead. 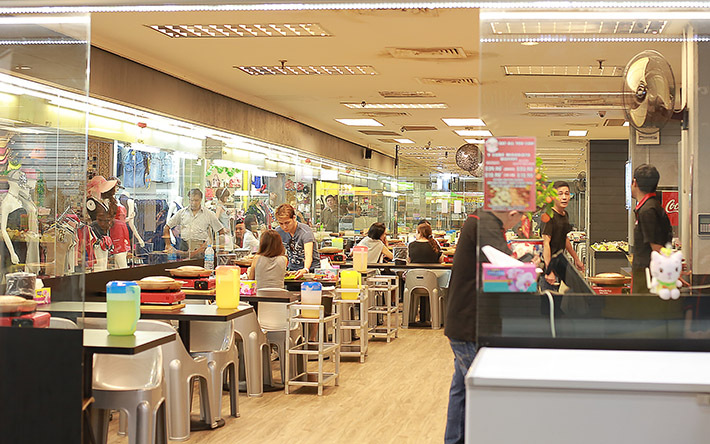 A reputable mookata shop in Golden Mile Complex, it is not surprising to see long queues for dinner at New Udon Thai Food. Diners get to choose between a la carte or set menus which the staff will recommend base on your dining group. 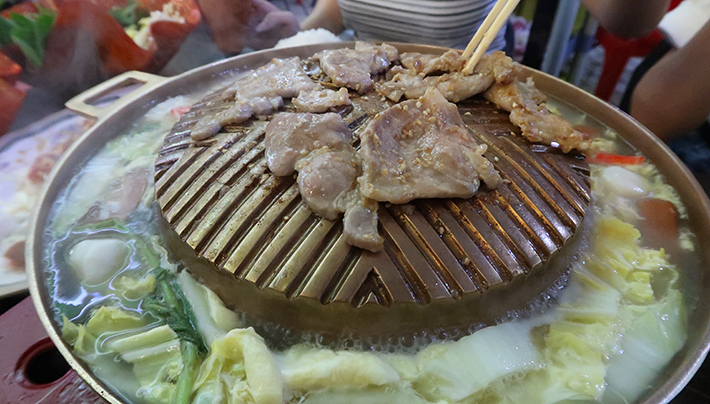 If you are a meat lover, you must try their extremely well-marinated pork slices. 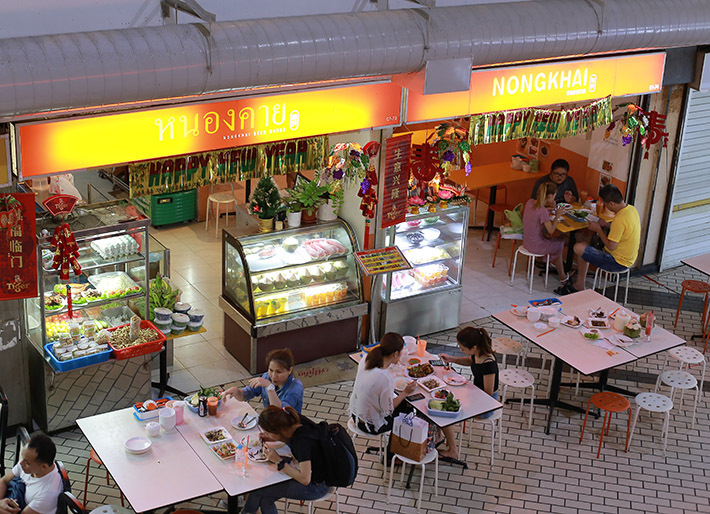 You will definitely not miss Nongkhai Beer House’s bright orange signboard inside the shopping complex. Even at nonpeak hours, the Thai restaurant is able to draw in a huge crowd. Blend in with the Thais by having a few bottles of beer to accompany the food. Walk down a flight of stairs leading to the basement to find Noodle Cafe. 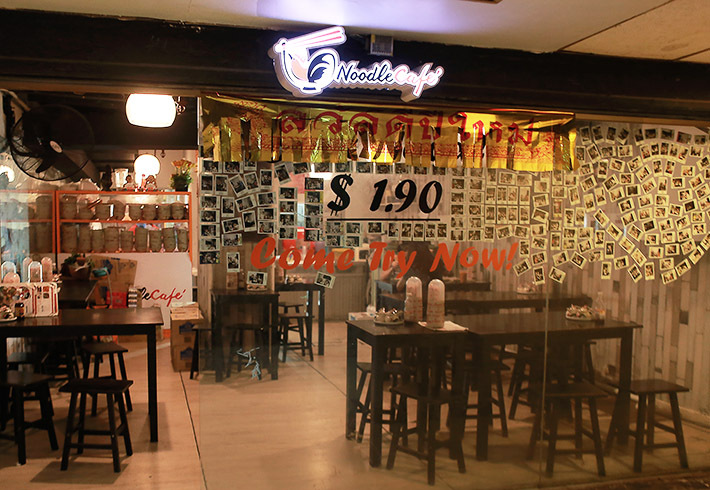 This humble eatery has been making its rounds on social media for serving S$1.90 per bowl of traditional boat noodles. The mookata hype has been ongoing for several years and does not seem to be slowing down any moment. Y Cube Mookata Buffet opens for long hours throughout the day with a wide range of seafood and meat. 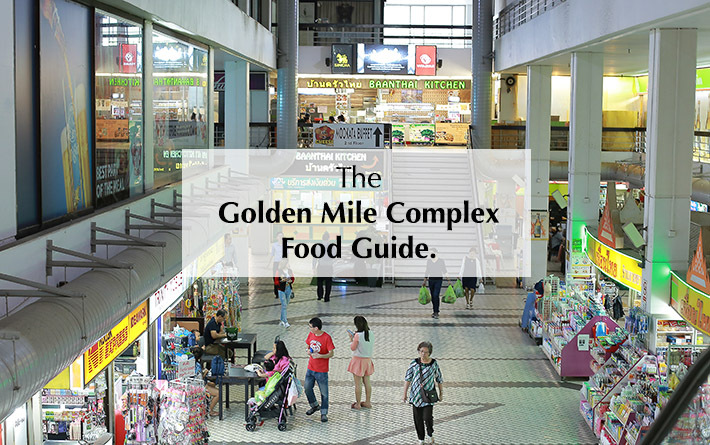 Apart from food places, you can also do some grocery shopping at Golden Mile Complex too. 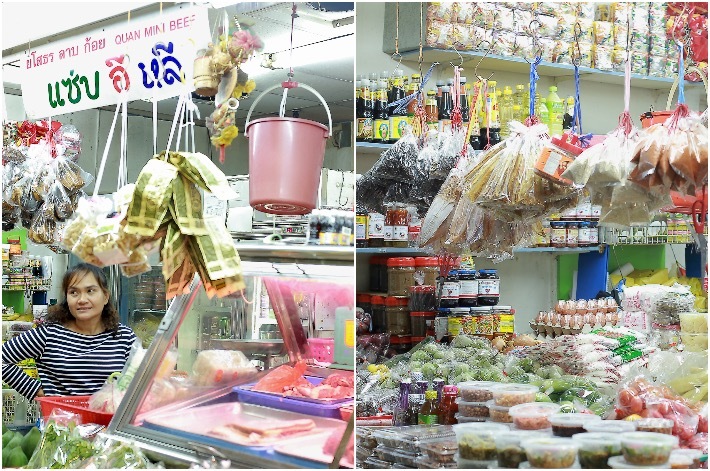 In addition to the Thai supermarket at level 2, there are also a few small grocery stalls that sell fresh meat, vegetables and spices.